There are several air purifiers that are available to you on the Internet and unless you know what you are looking for you may end up choosing an air purifier that doesn’t suit your particular needs. Air purifiers serve many different purposes and vary from different makes and models, some vary in speed, CFM’s, and particulate size removal but only one machine is designed to neutralize and remove VOCs, chemical odors, fragrances, and malodors. 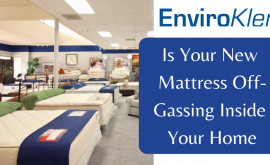 Why Should Every Homeowner Be Concern with VOCs in their Home? 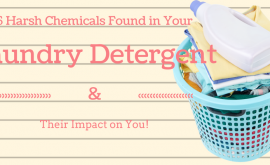 The ability of organic chemicals to cause health effects varies greatly from those that are highly toxic to those with no known health effect. 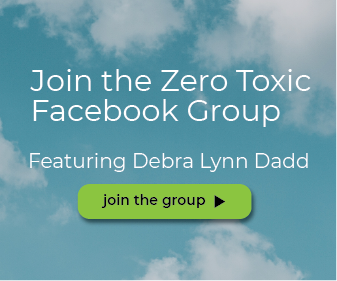 As with other pollutants, the extent and nature of the health effect will depend on many factors including the level of exposure and length of time exposed. 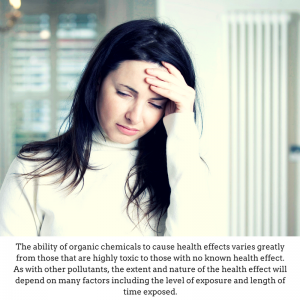 Eye and respiratory tract irritation, headaches, dizziness, visual disorders, and memory impairment are among the immediate symptoms that some people have experienced soon after exposure to some organics. At present, not much is known about what health effects occur from the levels of organics usually found in homes. Many organic compounds are known to cause cancer in animals; some are suspected of causing, or are known to cause, cancer in humans. 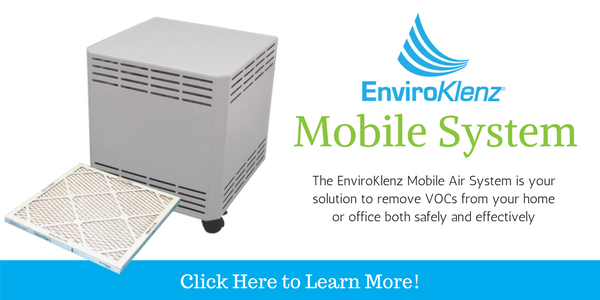 Can all Air Purifier Remove VOCs? 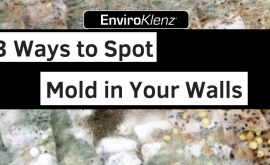 There is a saying that goes “not all air purifiers are created equal” and this is true especially if you have chemical sensitivities and rely on your air purifier to control the levels of VOCs and Chemical odors in your indoor air environment. Most air purifiers utilize carbon technology which acts as a sponge to absorb chemical odors and VOCs from your home indoor air. Although activated charcoal and carbon have some efficacy in taking in and retaining chemical odors it does not break down these chemical odors which leave the potential for them to be released back into the environment when the filter is full. 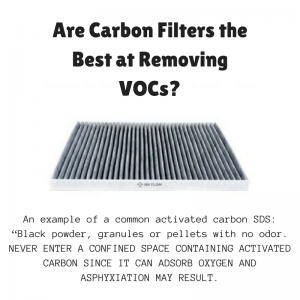 Are Carbon Filters the Best at Removing VOCs? As far as the safety of carbon technology goes activated carbons often contain the same hazards, especially doped or modified carbons. Here is an example of a common activated carbon SDS: “Black powder, granules or pellets with no odor. NEVER ENTER A CONFINED SPACE CONTAINING ACTIVATED CARBON SINCE IT CAN ADSORB OXYGEN AND ASPHYXIATION MAY RESULT. The primary concerns for occupational exposure are skin contact and inhalation in the form of dust. The dust may cause eye irritation, slight skin irritation, and possible respiratory tract irritation that can cause coughing or sneezing.”Although this may sound a little scarier than what it is the fact that you are storing these VOCs and chemical odors inside of your filter increase the chances of cross-contamination in your home, especially in the case that you move your filter from room to room or travel with your purifier outside of your home, families members homes, or use them in public places such as hotels. 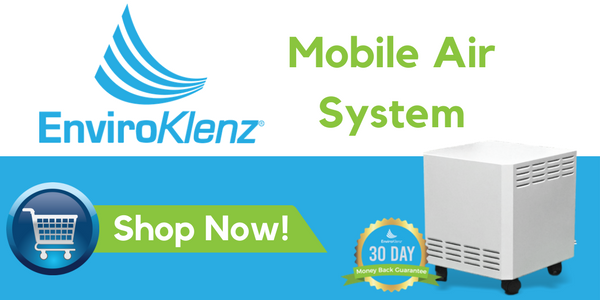 The EnviroKlenz technology was created with the most chemically sensitive in mind providing them with both odor and chemical odor neutralization along with standard HEPA filtration as well. 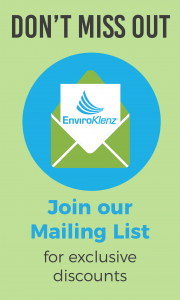 EnvironKlenz products both remove and eliminate chemical pollutants and odors with a unique and patented technology. 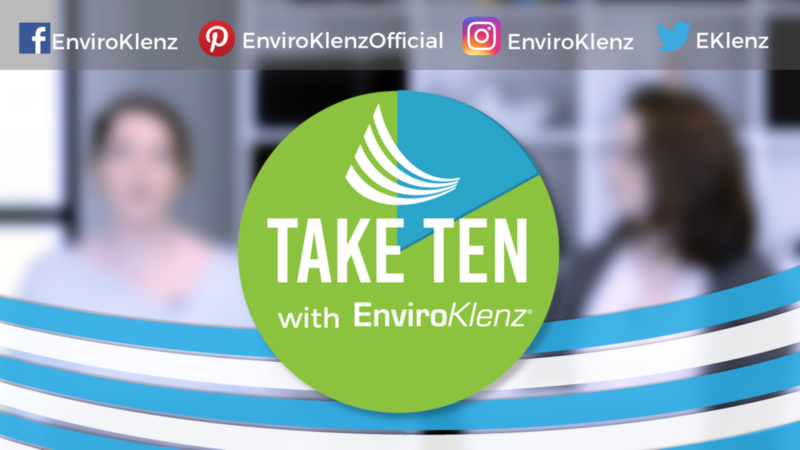 As the technology comes into contact with chemical pollutants such as VOCS in your homes circulating air, EnviroKlenz chemistry irreversibly attaches to and reacts with the pollutants, and destroys/neutralizes the pollutant.